The Ann Arbor Hands-On Museum is a STEM treasure trove with more than 250 interactive science and technology exhibits on four floors for students to explore. In addition, even more hands-on fun can be had in the ScienceWorks lab with a range of age-appropriate programs for students Pre-K to grade 8. All programs align with Michigan’s Grade Level Content Expectations. The Museum is in the Unity in Learning Partnership with the Leslie Science and Nature Center and the Yankee Air Museum which together offer more than 100 programs onsite, at other locations and via video conferencing. 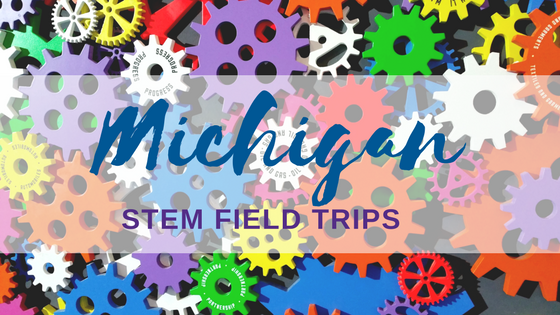 Looking for a well-rounded science, technology, engineering, art, and math (STEAM) field trip experience? Check out field trips to Detroit’s Green Living Science! Since 2007, the non-profit has taught more than 90,000 students about greener living through proper waste disposal and reuse, and along the way exposed them to community art as well. This year the group is adding age-appropriate activities in its new outdoor classroom (made from found and recycled materials) that will encompass STEAM subjects with emphasis on sustainable living and resource conservation. LEGOLAND® Discovery Center at the Great Lakes Crossing Mall in Auburn Hills has preschool and elementary school programs offering hands-on, experiential learning. Each elementary program addresses NGSS and/or CCSS standards and includes topics like the Spinning Top Workshop, Spin the Gears Workshop, and Merry-Go-Round Workshop. Preschool programs capitalize on students’ creative and exploratory skills using oversize Lego bricks better suited for their small hands. In Grand Rapids, the Van Andel Education Institute offers unique “Field Experiences” that immerse older students in “learning science through inquiry as they conduct investigations and engage in scientific discourse.” The programs are overseen by Van Andel Research Institute scientists who observe them at the Institute’s demonstration lab. Age-appropriate programs are available for elementary and middle and high school students. Michigan Technological University in Houghton in the upper peninsula has a full line-up of spring field trips for K-6 students. Programs are primarily natural science related with hands-on activities and investigative exploring. Programs also address educational standards and can be customized depending upon class needs and teacher discretion. If nuclear science and physics interest your students, there’s no better place to visit than the National Superconducting Cyclotron Laboratory (NCSL) at Michigan State University, in East Lansing. Offering tours to groups ages 10 and up, your students will see demonstrations, get an introduction to nuclear science goals and methods, and take a walk through the vaults where nuclei are accelerated and studied. Reservations should be made at least a month in advance and unfilled time slots can be viewed online here. These are just a few of the many possibilities available in Michigan to help expand STEM/STEAM awareness and education. Indian Trails can help you plan and execute your next field trip, so once your destination decision is made, contact us!